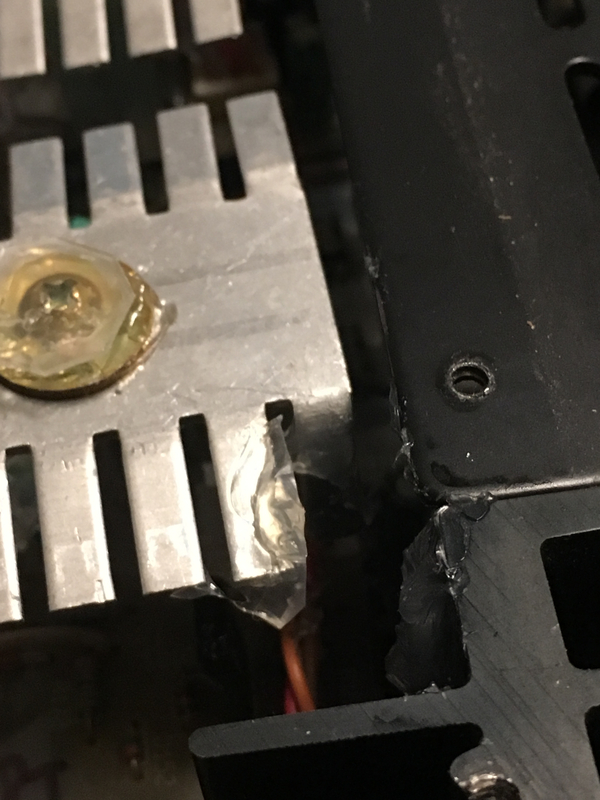 Opened my Adcom GFA-555ii and... Surprise! Doesn't seem to impact the sound quality, but what in the world did someone do here? I bought the unit used either on here or eBay 3-5 years ago. Finally opened it as I'm considering putting it on the market once I get my Odyssey monoblocks in place. I'm sure this will kill the resale value so maybe I'll hang onto it as a refurb project. Appreciate any input as to what's going on and, possibly, why. Somebody hacked the heatsinks and used silicon calk to insulate them? It looks like they just added those things on there? Any idea what the logic could've been, Aaron? MK I, II, III...I have no idea how many they had? Ah, but does it sound good? That is the question. Just a guess: Perhaps there was a mechanical buzz that the owner traced to that area, so he not so neatly cured it with the silicone. 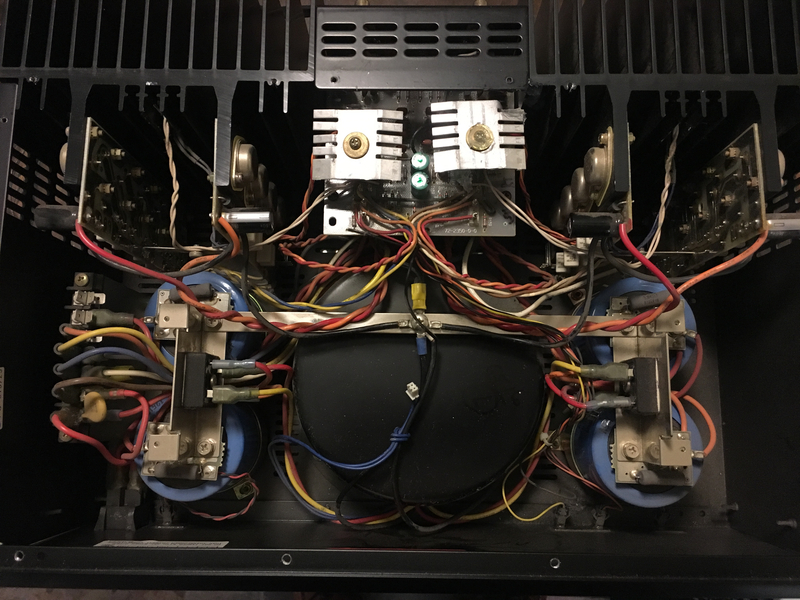 Here's an image from Steve Hoffmann's that shows a different set of... heatsinks? Ya... That's not your board either and that one's been modified as well. I'm not an Adcom guy but I'd bet those caps aren't stock. You've got WIMA (square red), maybe Nichicon ( the brown towers) and some orange "gum drop" caps in there also. See where those brown towers are in this pic? I don't see caps in those positions in your first pic. It might not be a "bad" thing they did but I'd agree that what you have is probably not stock. Just listening to it and it sounds good. Certainly no problems. Good soundstage, separation of the instruments, etc. Was trying to figure out where I bought it. I thought it was here in the Flea Market but can't seem to find a relevant FS post or any messages I sent about it. I don't think there's a way to list this for sale as a GFA-555ii with this stuff in it, right? As long as your ad discloses any pertinent information you should be fine. Give it a go you never know. Looks like some sort of modification/upgrade that was kinda done without caring what it looked like, because maybe they never expected to get rid of it or open it up. If it sounds good then I worry too much. You can always research what kind of mod it might be on an Adcom forum or something if you really wanna know. Looks like another hack job from the Upgrade Company. "Wow, that is shockingly bad work! 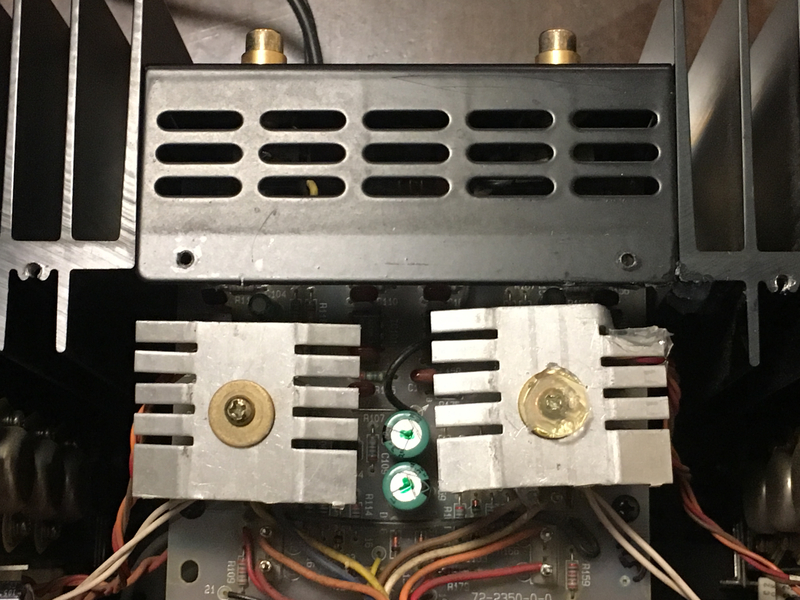 Looks like someone attached these heatsinks to one pair of the driver transistors. 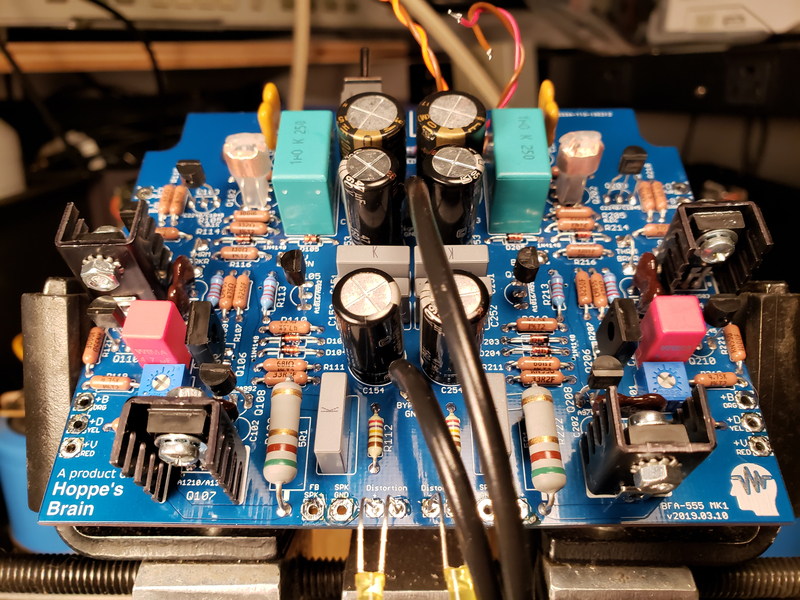 These transistors do in fact run a little hot, but they only need small heatsinks to run well within normal range. 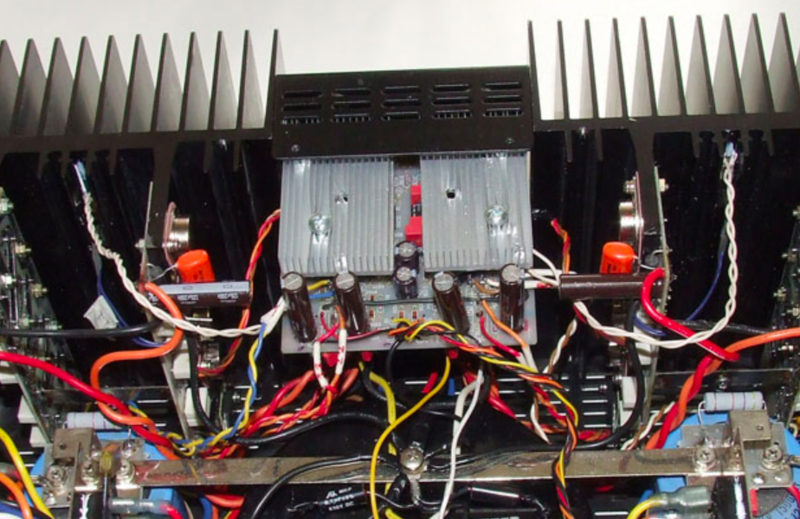 Giant heatsinks like this are inappropriate. 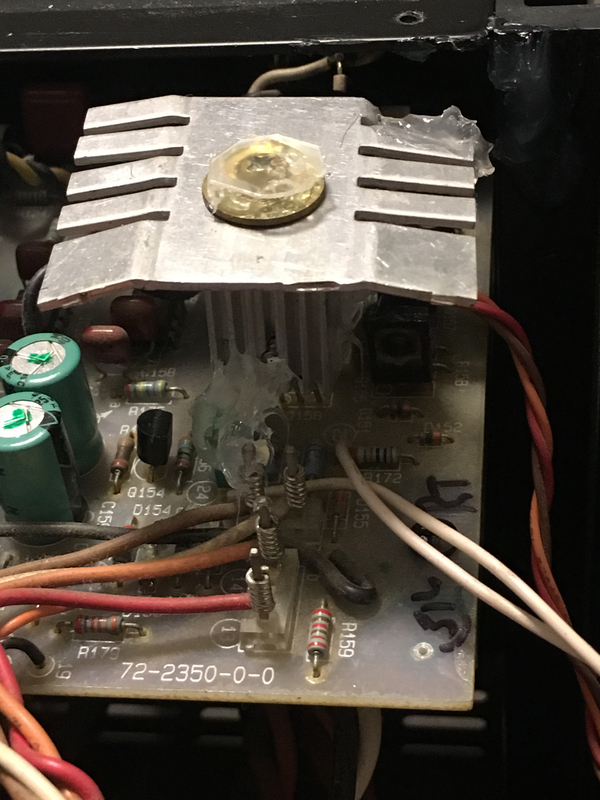 Also, the other two TO126 packages transistors also run hot, so this person's modification doesn't even address the whole issue. I'd be worried that other things have been tampered with, by someone unqualified. I do actually have a new input board kit for the 555 MKII coming out pretty soon. It's a lot like the MKI board, of which I have attached a photo." He is offering to buy it from you for the sum of 2 American dollars and @lightman1 s phone number. It was an attempt at humor. It was clearly wide of the mark. I was thinking, "Two dollars? Two dollars for what?" There was one for sale local (Lawton, Oklahoma Craigslist) I facilitated the shipping only. Signal Cable speaker wires & interconnects. I don't remember. Could've been. You remember working with me specifically or just that there was a 555ii you helped someone on here with? It's been a good amp for me - all I need and more for my 705's. I have the good habit of opening every piece of equipment I buy, to find previous repairs, excessive heat digs... etc. if it looks hacked, I’ll send it back. It’s a bit o a forensic work, but I can learn a lot about how the unit was kept just by observing the interior. 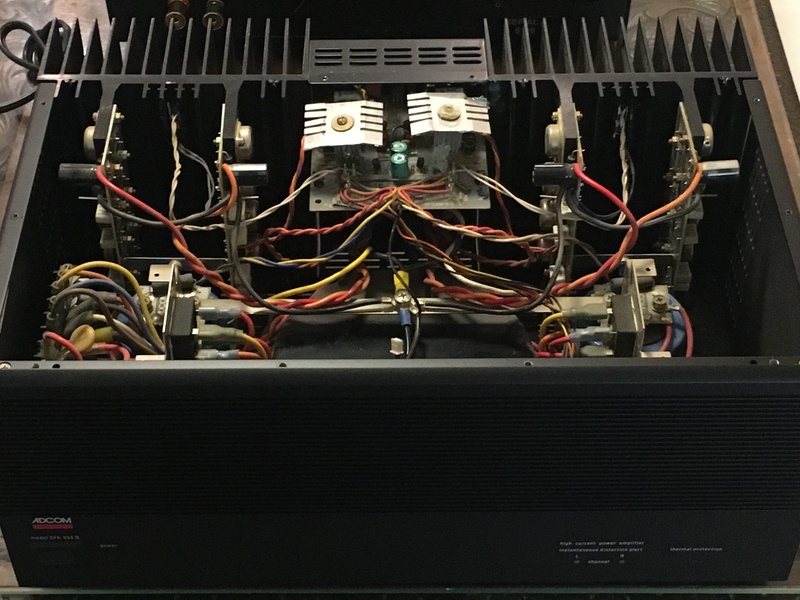 Other than that, I find the interior of this amp something really nice to look at! Central toroidal transformers and big filter caps symmetrical layout ... super!